Detailing the physical features, habits, territorial reach and other identifying qualities of the Bee-Like Tachinid Fly. 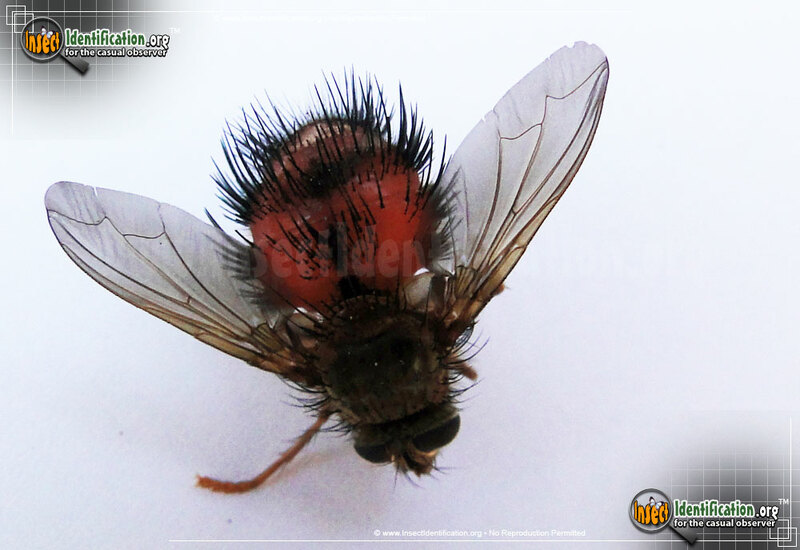 The Bee-Like Tachinid Fly looks like an unsightly, hairy mess, but this fly is very useful in controlling nuisance insects. 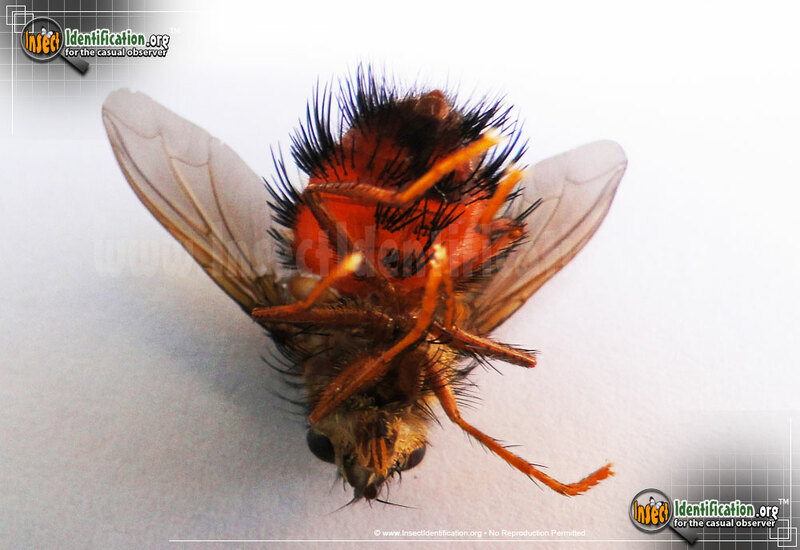 Bee-Like Tachinid Fly larvae are lethal predators to insects people may find problematic. Most of these fly larvae feed on the caterpillars of pesky moth species. 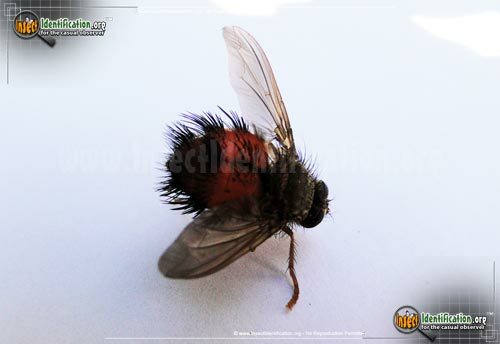 Because of their diet, some Tachinid Flies have been deliberately imported from other areas to control destructive moth populations. The female Bee-Like Tachinid Fly lays a couple of fertilized eggs on or near a moth caterpillar. The caterpillar may inadvertently eat the eggs as it chews on the leaf the eggs were on. A larva will feed on its internal parts until the caterpillar dies. The fly larva will then drop to the ground and dig a burrow where it will pupate and develop into a flying adult. Adults have red bodies that get darker at the tip of the abdomen. Color variations exist with individuals. Some are more yellow, or orange, while others are more red. A black line runs down the center of the body. It is covered in black, spiky hairs. Transparent wings flare out to the sides at an angle. 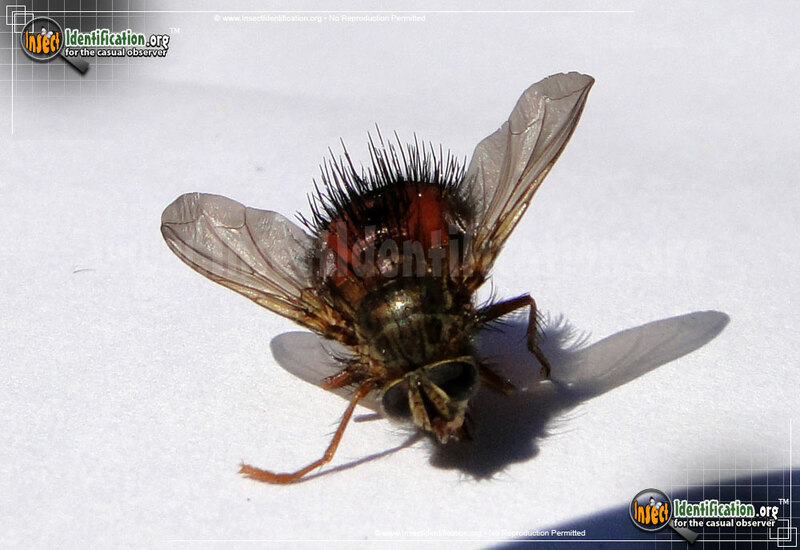 This particular species of Tachinid Fly can be found on flowers or in marshy areas during the summer and autumn. Adults drink nectar.